Masahiro Tanaka is a good sport. With the decision on whether or not the Japanese pitcher will be playing the 2014 season for an MLB team or an NPB team (Nippon Professional Baseball) up in the air, he still finds the time and courage to go on Japanese variety show "SMAPxSMAP." SMAP, originally a boy band, has some fun with Tanaka as he participates in a bizarre dance with some colorfully-dressed women and competes in some sort of baseball-throwing competition. It’s difficult to comprehend anything that is going on, but it is wildly entertaining nonetheless. 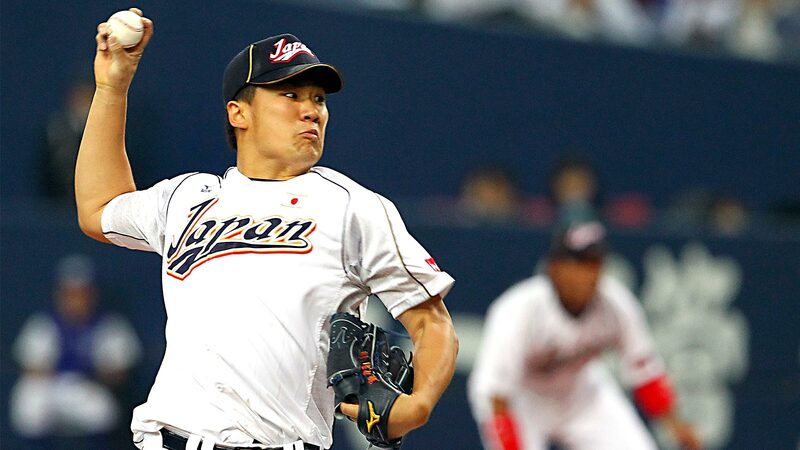 Equally weird and impressive is that all of the SMAP boys are pretty dang good pitchers themselves.